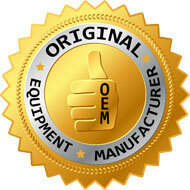 This OEM factory original upholstery tool fits all models from 1936 to current. Use the upholstery tool on your furniture, carpeted stairs, curtains, etc. Remove the brush to allow you to clean and wash if needed. This item is perfect for use on your upholstery tool to clean your windows or any other hard flat surface. Spray windows or surface with cleaner and squeegee up while performing a streak free job. Will only fit the upholstery tool that came standard with the E-2 (e SERIES™) and above. 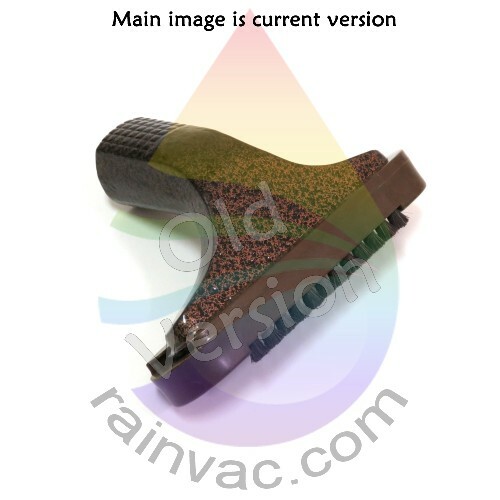 If you have a model D4C or older, then you can order the upholstery tool listed under the "Related Items" tab to fit this squeegee and your Rainbow. Standard OEM factory replacement upholstery tool brush for the E2 Type 12 and E-2 model Rainbows. 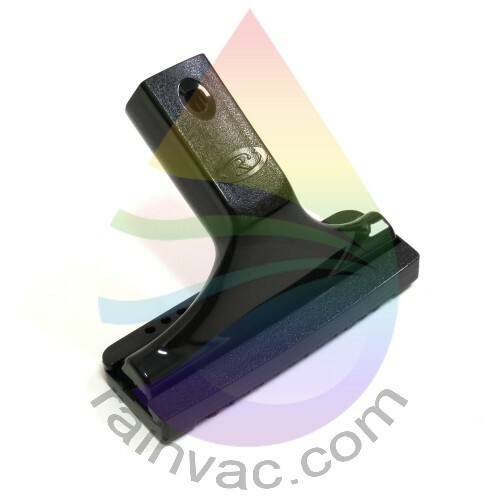 This attachment is the most popular as it is used for so many cleaning jobs.